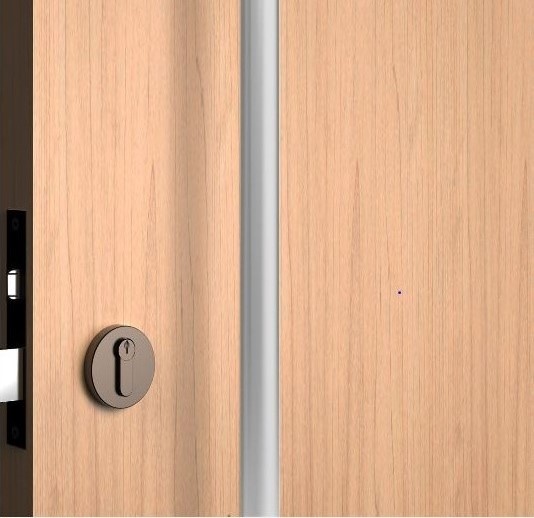 Everyday we speak with customers who wonder if their doors are suitable for smart locks. While you can get the specifications on our website, we thought we'd dive deeper into door compatibility. 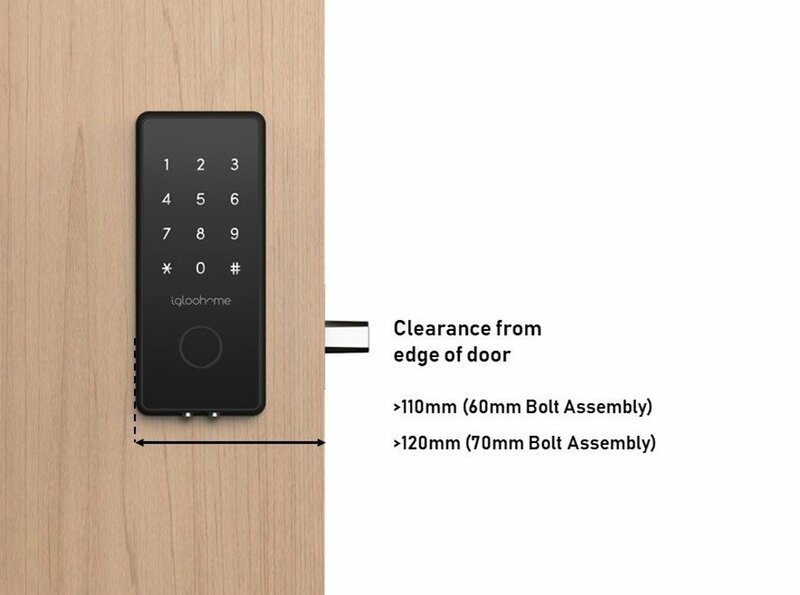 If you're looking to install an igloohome smart lock, then this post will explain further for clarity. When you first come into contact with these door lock terms, you might be swarmed with more questions than ever. We'll familiarise you with these terminologies so you know what to look out for prior to your purchase. It is important to check your door thickness to determine which product best suits you. 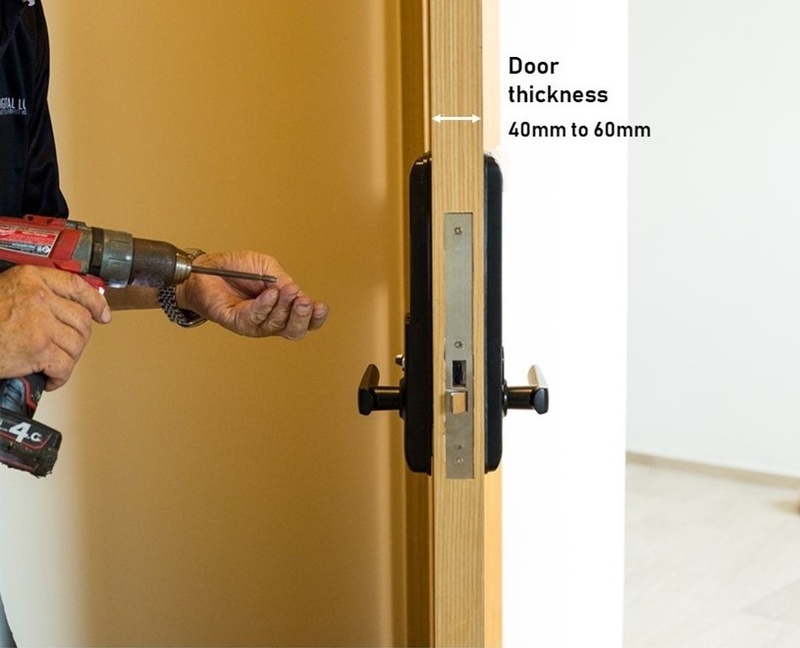 For instance, you may have taken a liking to the Smart Mortise but if your door isn't between 40mm - 60mm, it might be a challenge to install it. Having this measurement will make your selection easier too. 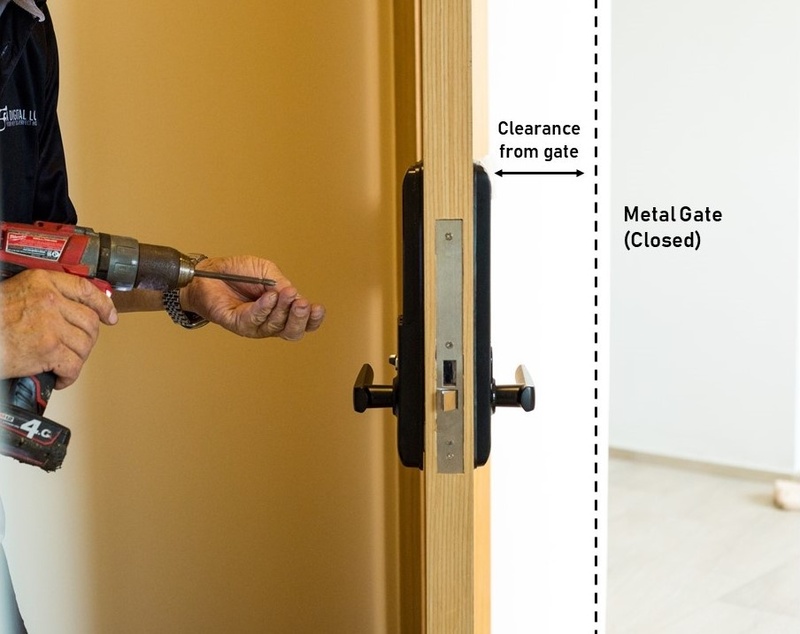 What we mean: The distance of the gap between your main door and metal gate when both are closed. If you live in Singapore or Asia, you might be familiar with this. Most houses come equipped with a main wooden door and a metal gate. To enter, you'll need to unlock the metal gate right before you unlock the main door to the house. We require the measurements of the gap to ensure that the product does not come into contact with the gate when both are closed. A suitable distance is confirmed before product installation can commence. 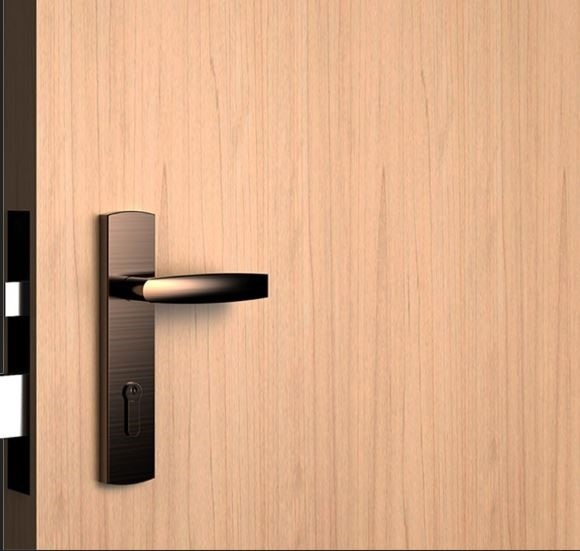 You wouldn't want to damage your smart lock every time you close these doors. What we mean: The distance from the edge of the door and the horizontal length of the entire product. As pointed out in the illustration above, you'll need to have the measurements for both horizontal arrows. Of course, this is dependant on the product you're looking at too. 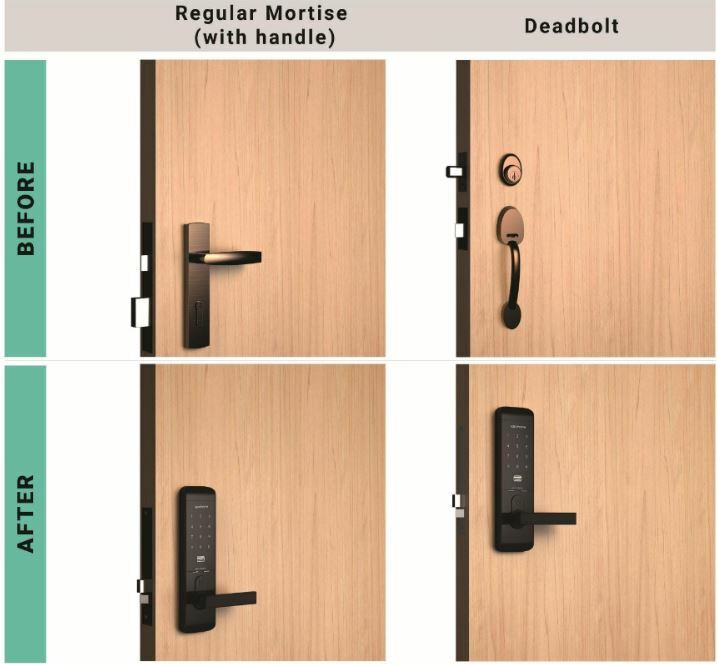 For illustration purposes, we featured the Smart Mortise, which has a handle that will affect the length of the product as compared to the Smart Deadbolts. This means you'll need to consider where the handle ends to get an accurate measurement of the clearance. Note that you should check for both sides of the door. What we mean: The distance for the full vertical length of the lock. You'll only be required to provide this measurement to ensure that the clearance area for the lock is unobstructed for a smooth installation. What we mean: The metal-looking piece that is usually attached from the top of your door frame to the door. Nowadays, most doors come equipped with door closers. 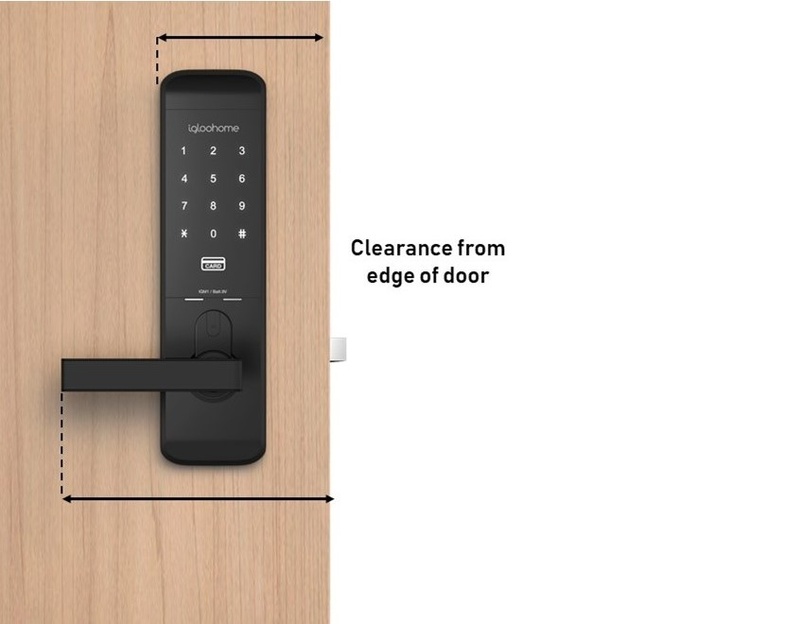 This device essentially helps you close the door automatically after someone has unlocked it. This, however, does not mean that your door is locked. 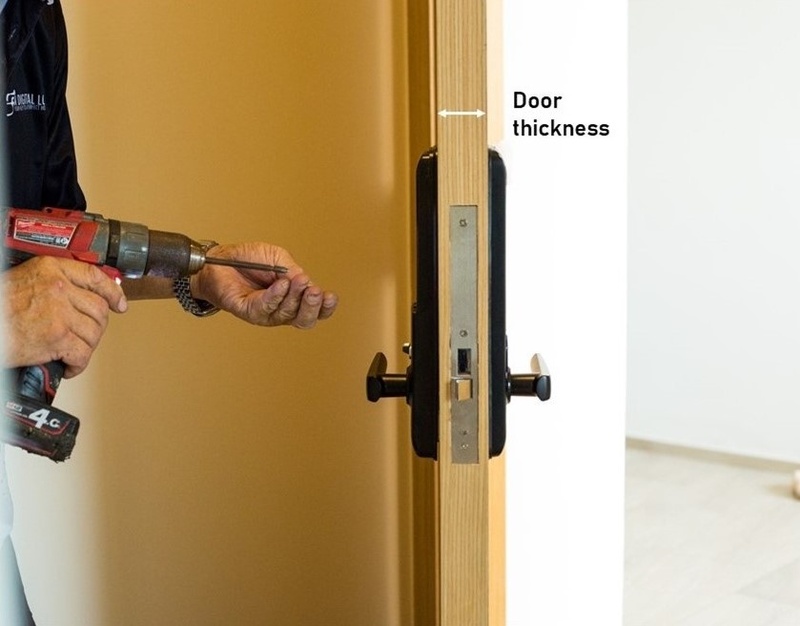 At igloohome, we require all doors to have a door closer installed prior to your lock installation. Warranty for our products will not be covered should you not have a door closer present during installation. Although this policy is only compulsory in Singapore, a door closer is highly recommended regardless. The reason is simple: door closers offer a level of control over the force at which the door closes. 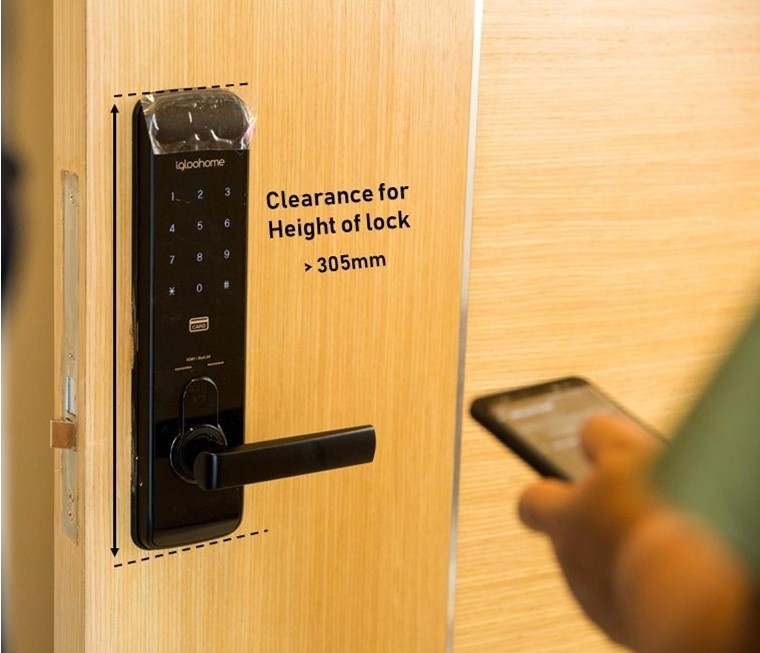 It cushions the impact of any accidental slamming and prevents damage to the smart locks. It also ensures you of the product's optimal lifespan. 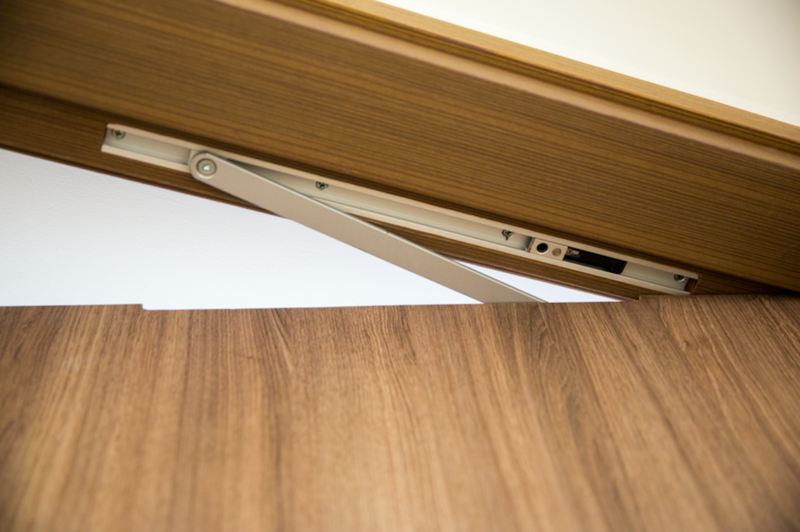 Should you require a door closer, our installers are happy to assist. A fee will be charged and the amount is dependant on what your door needs. What we mean: A metal piece that is placed in the door after drilling (as shown above). The bolt assembly helps hold the lock in place. Most doors follow industry standards and require a 60mm bolt assembly. In cases where holes have been drilled in your door prior to your igloohome installation, a 70mm bolt assembly may be required. A mortise lock basically needs a rectangular pocket to be cut into the door for the lock cassette to fit in. A deadbolt lock, on the other hand, is usually installed on the door separately from the door handle. A roller mortise lock can most often be found on condominium doors. These doors come pre-installed with handlebars that run vertically down. We've covered the basics of door locks previously too. For more information, simply read this post. 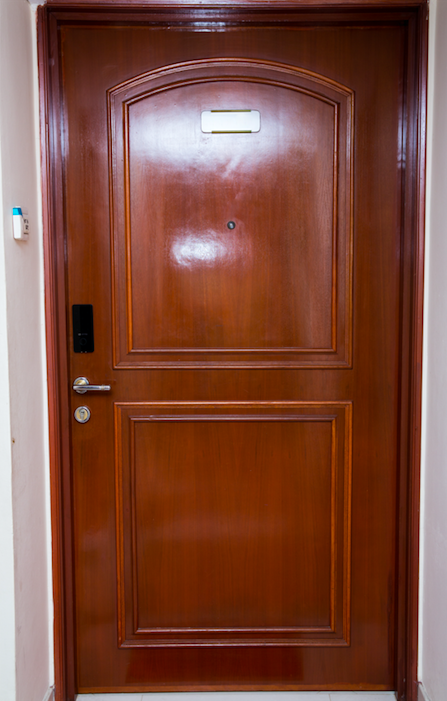 These doors are most commonly found in HDB flats and apartments. 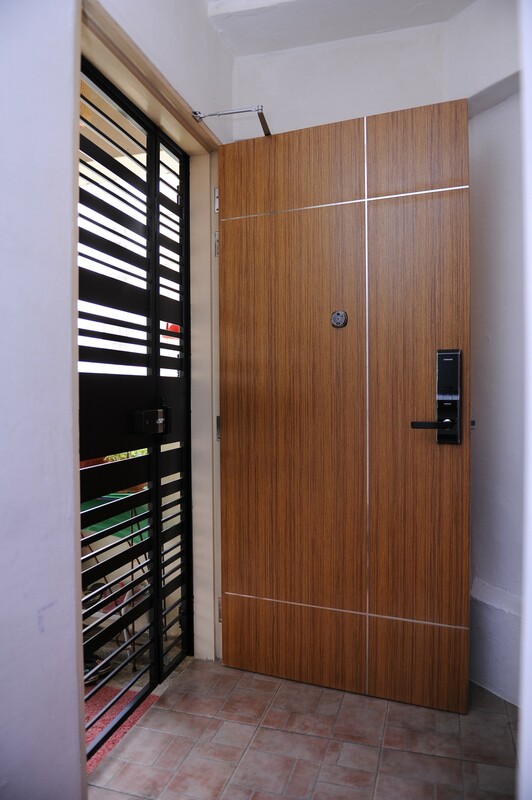 The single leaf wooden door is largely used as the main door for most Singaporean households. They are single panels that fill the entire doorway. Notice the lip on the vertical edge that juts out? Double leaf doors tend to have this gap for the doors to close properly. During installation, a rebater will be required to fill the gap and even out the door edge. This is for placement of the bolt assembly and the securing of the strike plate. 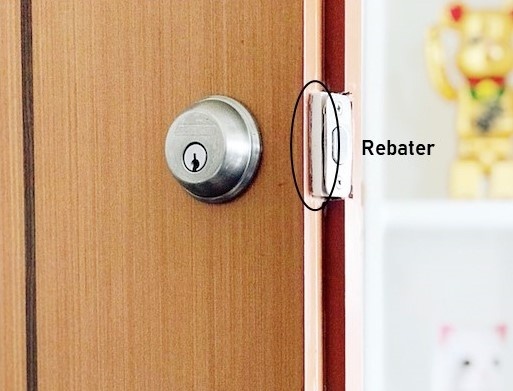 If you reside in Singapore, no additional fee will be charged should you need to install your igloohome smart lock on such doors. Currently, our products are not compatible with glass and sliding doors. If you wish to install a smart lock on your HDB metal gate or any other door type, feel free to contact us for more information. Once you've determined the existing lock mechanism and type of door, take a look at your chosen product. In this section, we'll touch on the Smart Mortise. As illustrated, your door will need to be between 40mm - 60mm. 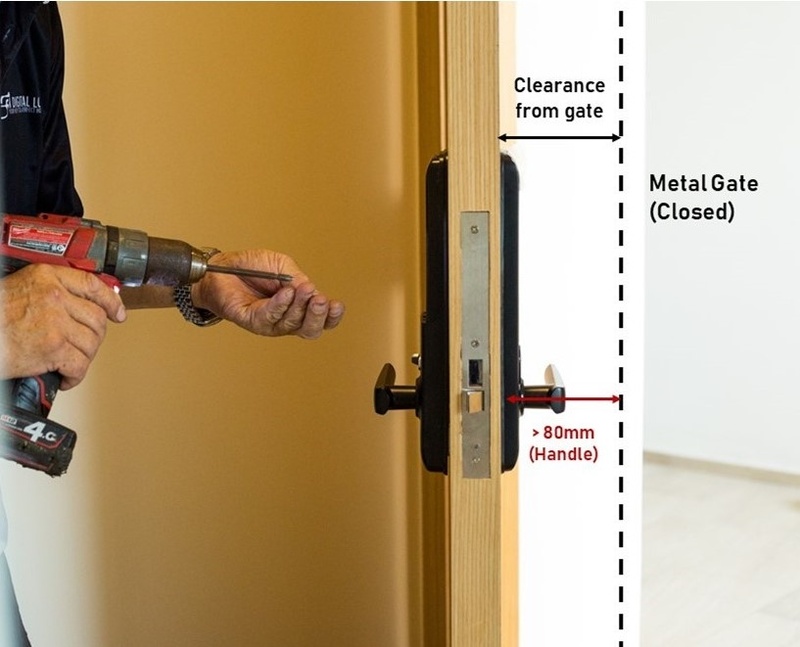 Clearance from door to metal gate should be more than 70mm. Clearance from the edge of the door should be at least 190mm till the end of the handle of the Smart Mortise. 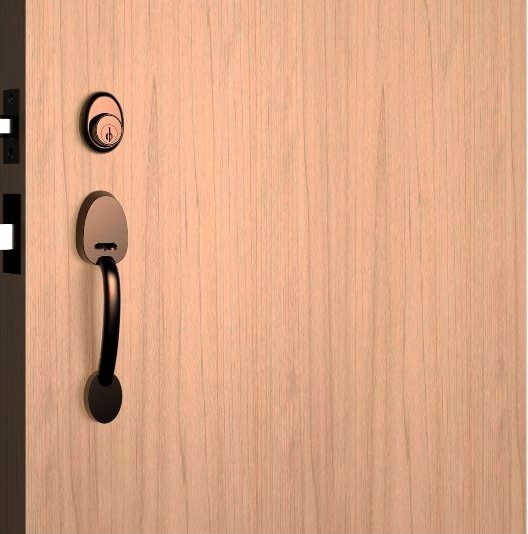 Also, note that the door edge to the end of the Smart Mortise body should be 110mm. 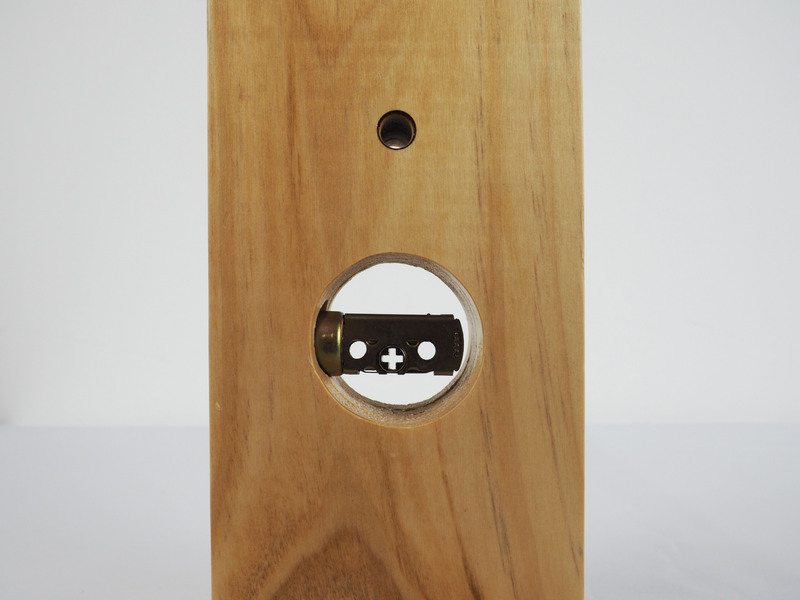 The Smart Mortise will need a clearance of 305mm or more for its height. The entire area must be completely flat and unobstructed on both sides of the door when you are measuring for these requirements. If you have an existing long handlebar on your door, you'll be required to remove it. The Smart Mortise is not recommended in this case as both handles will interfere with each other. One last thing to note is that left- or right-hand installation does not matter. 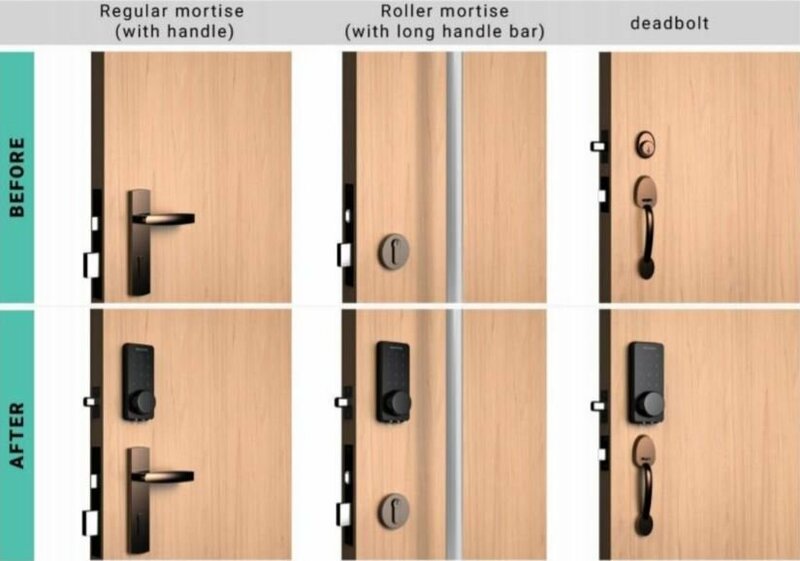 The Smart Mortise's handle can be tweaked to suit your needs. 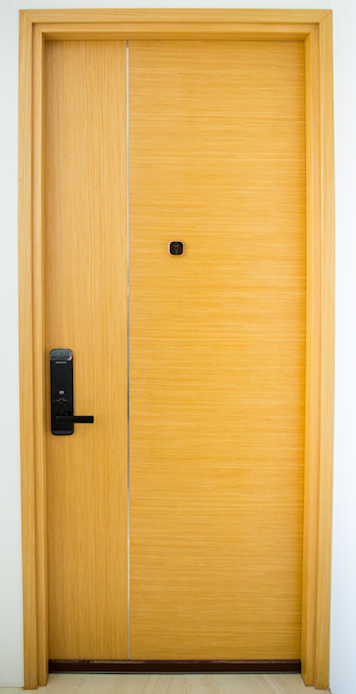 If you've decided to get an add-on to your door, the Smart Deadbolts are your best choices. 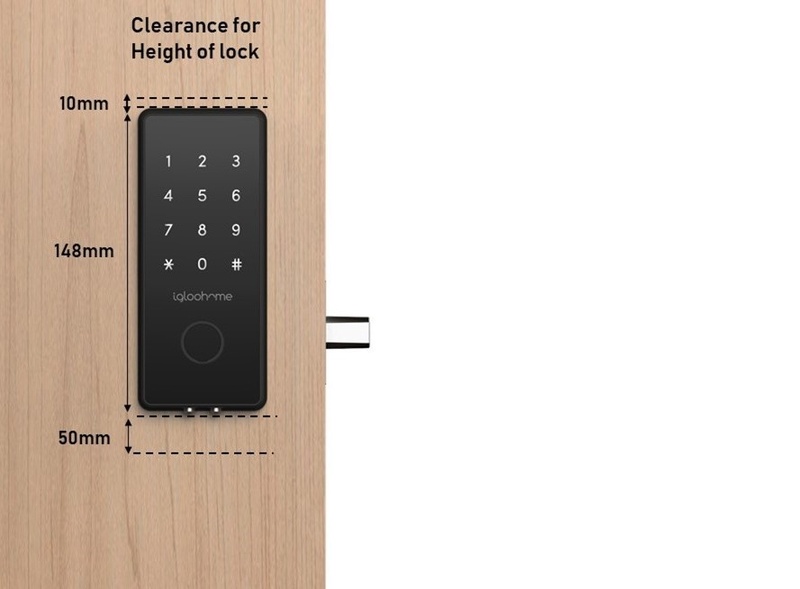 While both the Smart Deadbolt 2S and Deadbolt 02 share similarities, there are some disparities in measurements. 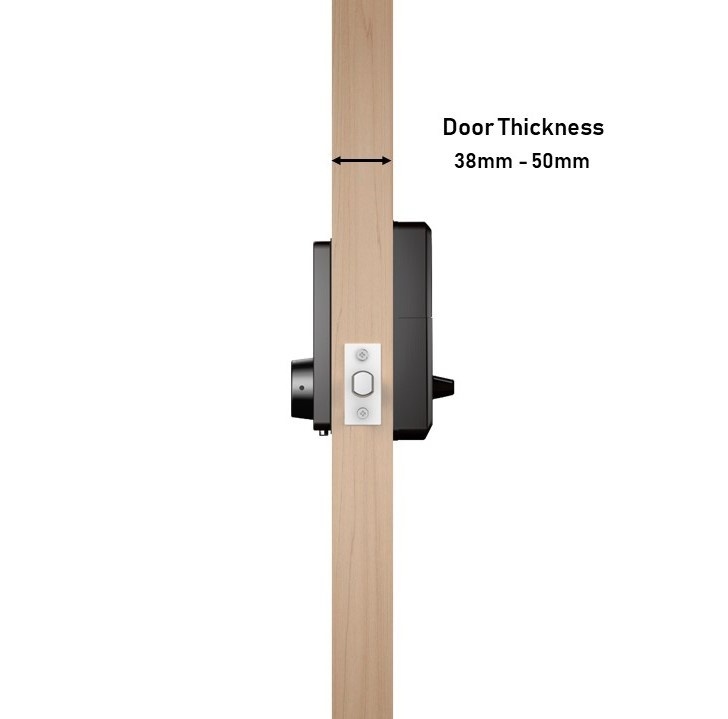 The Smart Deadbolt 2S requires your door thickness to be between 35mm - 60mm. 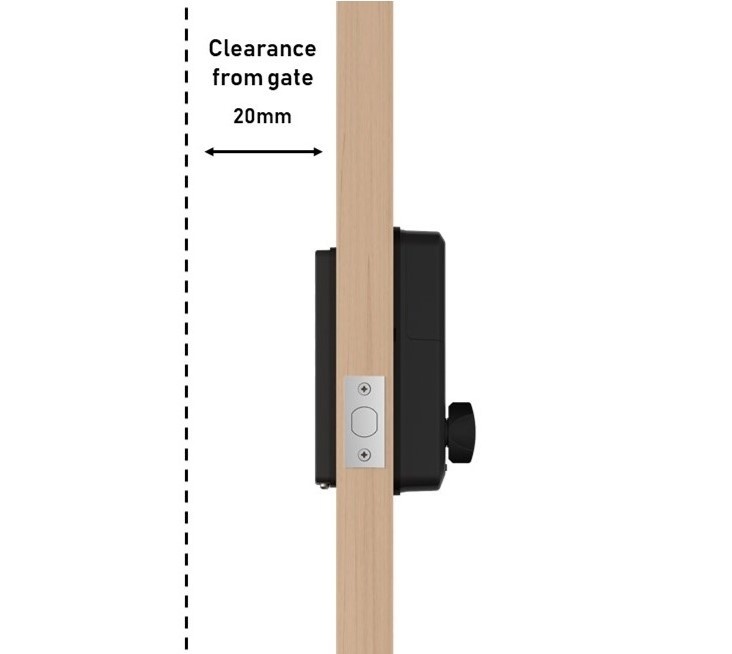 Gate clearance distance should be a minimum of 20mm, much lesser as compared to the Smart Mortise. This is because the Smart Deadbolts do not have a handle and will be sitting above your existing one on the door. If you're installing on a new door with no existing holes drilled, ensure you have at least 110mm from the door edge. If you're replacing an existing deadbolt lock, measure the edge of the door to the middle of the keyhole. If the existing bolt assembly is 60mm, you'll need 110mm from the door edge. If you measured 70mm, then you'll require 120mm of clearance. 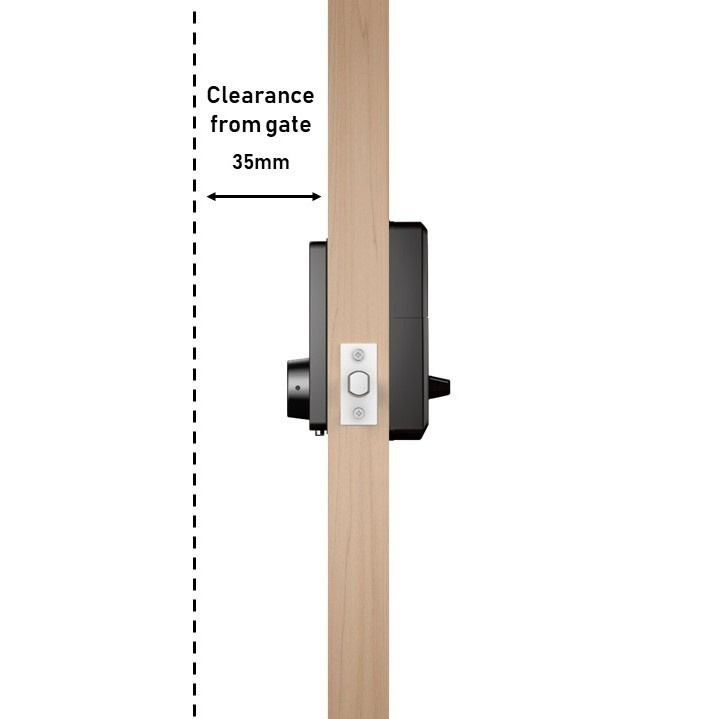 Ensure that you have 208mm worth of flat space available for the installation of the Smart Deadbolt 2S. The hardware measures at 148mm length-wise. You'll need a 50mm distance at the bottom of the lock too. This is to provide clearance for an external DC9V battery in the event an emergency jump-start is required. The point of contact for the external battery is illustrated in the image above, located at the very end of the lock. As mentioned above, the Smart Deadbolt 02 and 2S share similarities. Both locks do not come with an attached handle so it will either replace an existing deadbolt lock or be installed above an existing mortise set. 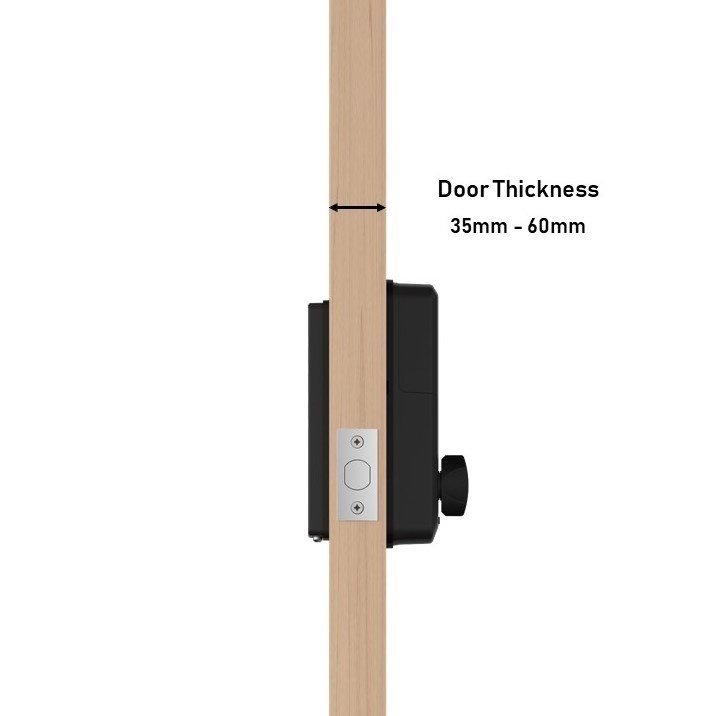 As illustrated, door thickness should be between 38mm - 60mm. While the Deadbolt 2S only required 20mm, the Deadbolt 02 will need a clearance of 35mm and above. This is due to the protruding key cylinder as pictured above. As we explained above, you'll either need a clearance of 110mm or 120mm depending on the bolt assembly of your existing or new door. Whether you require a 60mm or 70mm bolt assembly depends on your specific door. Measure the distance from door edge to the center of the drilled hole to be sure which bolt assembly you will require. 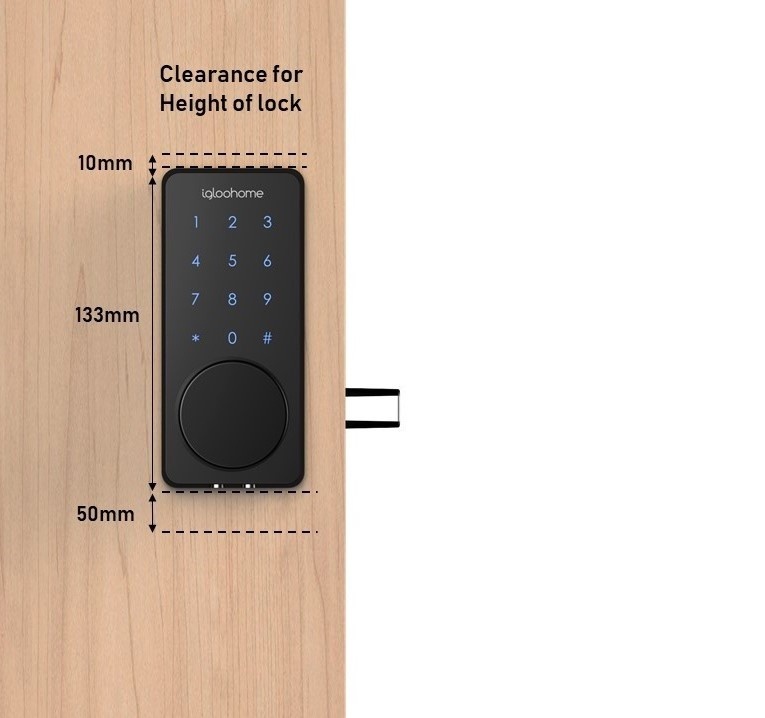 The Smart Deadbolt 02 requires 193mm worth of space in total. The lock itself measures at 133mm for its length, and the same 50mm clearance is needed for the external DC9V battery should the lock require an emergency jump-start. We encourage all customers to refer to this guide when checking for door compatibility. However, this list is not exhaustive. Should you not find your queries answered, feel free to write to us via email at info@igloohome.co with images of your door attached. Disclaimer: This door compatibility guide was written for the Singapore market. Product specifications reflected above apply for all igloohome products purchased from an authorised reseller/distributor and our online store.